While driving to the maze, challenge each other by talking strategy of how you’ll get through the maze. Will you follow all the right turns? Will you make a pattern of it by going right then left then right then left? Or will you just go with gut instincts by turning whenever and whichever direction you feel is correct? When you arrive, you’ll have the pleasure of walking up to our brand-new ticket booth. With its fresh new look and bright colors, this is a great place for your first group picture before the days activities begin. Following admission, you’ll want to head toward the corn maze while it’s still sort-of cool outside. Precede to follow the strategy you planned on your drive over and see how quickly you can make it through the maze without finding any dead ends. Be sure to snap goofy pics throughout the maze. This will make for great laughs later. After you complete that, you’ll want to sit and cool down while enjoying some delicious food like boiled peanuts, roasted corn on the cob, pulled pork, kettle corn, shaved ice, ice cream, strawberry shortcake, kettle corn, cupcakes, cookies, cakes and plenty more from a few of our many local vendors. Be sure to bring cash as many of our vendors do not accept cards. While letting your lunch settle, enjoy some of our relaxing arts and crafts like Craft Painting, Balloon Artist, Pumpkin Painting, and Sand Art. Then add to your great day of memories by playing a variety of games and activities such as a challenging game of corn-hole, badminton, Sling shot shootin’, children’s duck races, steer ropin’, the corn box, and of course the huge squirrel chute slide. Don’t forget to visit our pumpkin patch and pick out a pumpkin to purchase. You can take it home to serve as a reminder of all the fun you’ve had so far that day. You might also visit with some of our other specialty vendors for items such as local honey, jewelry, Scentsy wickless warmers, handmade children’s dresses and tutus, Tupperware, and a number of original hand-crafted items. 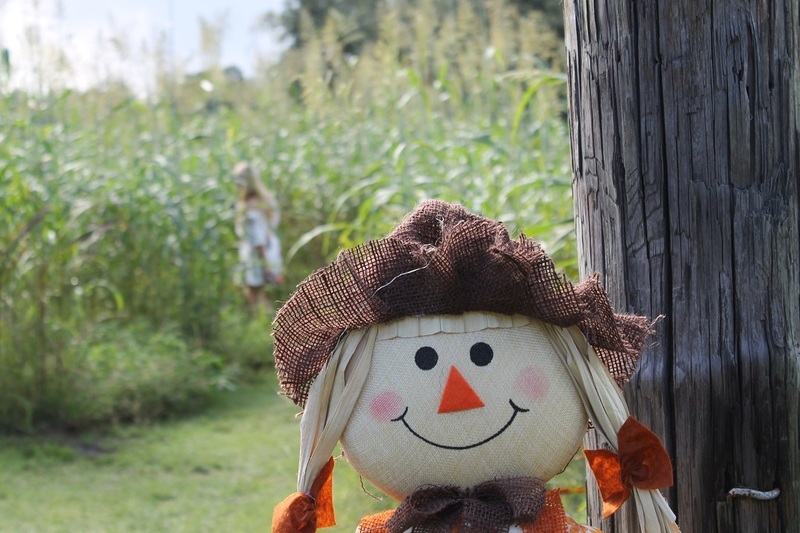 Last but definitely not least, the best way to end your day would be with a relaxing hay ride around the farm viewing all the beautiful surrounding scenery while you ponder on all the amazing family fun and memories you’ve made here at the Fox Squirrel Corn Maze. Make your Fall 2018 one to remember.